Glyphosate - Should we ban? Can we replace Glyphosate? Glyphosate - Should we ban? Can we replace Glyphosate? 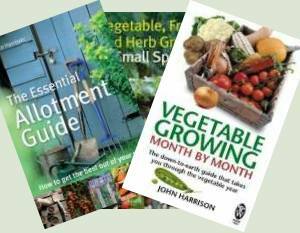 Garden Diary › Allotment Garden Diary › Glyphosate – Should we ban, Can we replace Glyphosate? Glyphosate – Should we ban, Can we replace Glyphosate? I’m confused about glyphosate, the active ingredient in herbicides like Roundup. Glyphosate is probably the most used herbicide on the planet. Is it safe? Can we replace it? Most growers are aware of the concerns about glyphosate causing cancer – specifically non-hodgkin’s lymphoma. The problem is partly that the discussion is so polarised and at times verging on the hysterical that it’s very hard to know where the truth lies. The manufacturers insist it’s safe and the fears groundless. They cite the 800 scientific papers that have concluded it’s safe. Then it turns out that an unknown percentage were ghost written by the manufacturer Monsanto and the science has been corrupted. According to some reports the early safety studies of the 1970s were fraudulent and as late as 2003 internal memos at Monsanto expressed concerns that claims regarding the product safety were overstated. The safety concerns were brought to the front last year when the World Health Organisation’s International Agency for Research on Cancer (IARC) assessed glyphosate as a possible carcinogen. Note that word ‘possible’ – hairdressing and carrots are in the same category. So we have a product where the safety testing is suspect but then it turns out that IARC may have skewed their report towards damning glyphosate by editing out ‘non-carcinogenic’ findings! So I think it is fair to say we don’t know how dangerous or not glyphosate is to those who use it or consume products treated with it or the general environment. Very Big Money – Very Stupid Too! I can understand Monsanto who owned the patent and manufactured glyphosate want to protect the cash cow. They were sold to Bayer for $63 BILLION. That’s BILLION not million. But apart from being criminal to falsify test results, I think it was incredibly stupid. These things always come to light and they open up the company to compensation claims. If they’d been honest and admitted there were risks and stated what precautions should be taken then they’d be in a stronger position to resist compensation claims. We accept many things that are harmful because we balance that with their utility. Two obvious examples are tobacco and alcohol. But X-rays that save lives cause cancer. Not so simple now. There’s a full list of 116 things that can give you cancer on the Guardian web site. If you’re a farmer using glyphosate and you know it can give you cancer then you’d wear protective gear when using it. Telling them it was safe enough to drink when the company knew there were risks is disgusting. The biggest supporters of using glyphosate are the farmers. Look at it from their point of view. Glyphosate is a cheap and very effective herbicide. Spraying off a field prior to sowing will increase yield, possibly double it for little cost. Many farmers claim they couldn’t make a profit without it. They’re addicted. Then we have GM crops – or at least the USA and other farmers outside of Europe do. Make your plant resistant to glyphosate and you can spray it several times during its growth killing off all the weeds and producing higher final yields for a small cost. 90% of corn grown in the USA is GM corn that resists glyphosate. Over here in the UK farmers use glyphosate as a desiccant. Grain has to be dry to store well and that involved electric dryers. Spraying off prior to harvest means less or no drying required. So we have a product that we’re not confident about the testing that is entering the food chain. We just don’t know. We need testing and measuring by scientists paid for their work rather than the ‘right’ result. If we ban glyphosate it will be an inconvenience to home gardeners who use herbicides but not that big a deal in the scheme of things. For the conventional farmers it would be a disaster. Costs would increase, yields reduce and food would go up in price in the shops. It’s been claimed that there is nothing else that is as effective and cheap that is as safe as glyphosate. That may or may not be true. We don’t know how safe or not glyphosate is so how can we compare? Certainly glyphosate is very cheap and efficient but maybe we should accept paying more for a proven safe product. If we ban glyphosate tomorrow it will be extremely disruptive and expensive. If we don’t it could be a health or ecological disaster of DDT proportions. Maybe Bayer should give the government £100 million and the government could split that out to various university science departments etc. to perform truly independent tests that will define and quantify what the risks, if any, are. I’d love to get your thoughts on this. Just scroll down and comment. Please note comments are manually approved because of spam postings. It may take a few hours to appear. Great article. I use glyphosate, but carefully and judiciously. It’s a necessary evil. That means using a spray with an inverted funnel over the nozzle, so the spray only goes on the weed and soil. I know farmers can’t do that. I’m also very careful when mixing and applying, using suitable PPE. 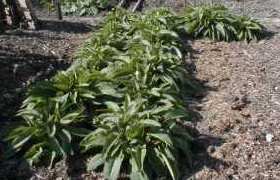 I also don’t spray unless absolutely necessary, meaning annual weeds and small tap root weeds, are hoed and/or dug out. But couch grass and other pernicious weeds (ground elder for example), need spraying. My life is too short to clear them from my plot. It probably isn’t 100% safe, but neither are some of the medicines I take. In life, there’s always a trade off. If it’s use was restricted commercially, I think some of the “anti brigade”, may baulk at the sudden and dramatic increase in the cost of their day to day shopping. Absolutely not. I’ve been using glyphosate for several years now and as said, provided it’s used properly including mixing and spraying on a still day and washing all the equipment after using there’s no problem. Having used glyphosate on many troublesome weeds – for example couch grass, bindweed, nettles, docks and many more, I found the ground cleaner and improves cultivation without any problem when growing veg. You see to me its like some people going on about field grown veg sprayed with chemicals. Don’t buy them then but how many people go to the local supermarket each week to buy their veg that has been sprayed with some sort of chemical spray or other how many people buy organic veg at a price? I agree with John if it’s use was restricted commercially I think some of the “anti brigade” would not be happy to see food prices rise. Thank God I’ve not got those to bother me down the allotments because if they were to come and preach to me about using glyphosate they would certainly go away with a flea in their ear! I wonder if glyphosate is currently on the “permitted list” of chemicals that organic farmers use? We all know (or should know) that organic doesn’t mean chemical free (although I have a sister in law who assures me that organic means chemical free! ); organic farmers just have a shorter list of chemicals to choose from. If it’s not on their list, I wonder what they do, to clear the ground? A harrow or plough won’t eradicate root based weeds. When I first stopped using weedkillers most were paraquat based which was very poisonous. I now use glyphosate in moderation. Also some pesticides approved for use in organic farming are more poisonous than the modern equivalents. I have become completely disenchanted with the organic movement. I’m in the USA. I’m both gardener and farmer. Farm owner, actually, as another person does the work. We like to use a system called IPM, or Integrated Pest Management. What this means is that we use the least harmful method first, and up the ramp to more aggressive things as needed. In the old days, they just flooded on chemicals at the first hint of trouble. Now, due to costs and safety concerns, we start out gentle, but get harsher and harsher – until we have success. As for the GMO issue, our GMO grains are very productive and cheap to produce. Their high productivity allow us to NOT farm land that shouldn’t be farmed. We get the grain we need from the ‘good’ land, and leave the erodible soils alone. So, everything has pluses and minuses. Hi Tim – that sounds a good way to approach things. GMO is a whole different discussion except that cutting through the hysteria is just as difficult. I think my main point is that lies and distortion means that we just don’t know the risks. I know of some farmers who use Roundup or Glyphosate to control black grass prior to ploughing and cultivation and although it seems to work its getting expensive to spray, so many are tending to only use Glyphosate where its absolutely necessary because black grass is a real problem for cereal growers and of course the “anti brigade” will always chip in their two pennyworth. My take on this is good farming practices have led to full bellies. But then good luck to that American gent who managed to sway the federal court to award such a pay out I’m mindful that many garden maintenance teams use Glyphosate on a regular basis and to my knowledge I haven’t seen any claims against the manufacturers of Glyphosate or the agents that supply? As for the risks involved in using Glyphosate well if it posed serious risk then surely DEFRA would get involved. Basically if you don’t like Glyphosate then don’t use. On my Iowa USA farm, we only apply glyphosate one time per season, when the weeds begin to ‘canopy’ over the crop grain. When they stick their heads up too high, we must counter them. Usually this is done with glyphosate on a GMO crop. We have been very committed to using green manure cover crops for the last 5 years. As a result, we are seeing a huge weed suppression occur naturally. Thus, we need much less glyphosate now. It is applied selectively – through the wonders of technology and GPS systems. It is magical, but the sprayer knows where to apply more and where it can apply less. Good cultivation practices like cover cropping are working. GMO is not my first choice, but it is my only choice. The taxes and interest must be paid, and GMO is the only option that will yield enough profit to let that happen. GMO grain is good grain. It is feeding millions and millions of people and allowing us to farm only the ‘choice’ farmland – saving poorer land from cultivation and erosion. GMO means we only go through the fields one time for cultivation/spraying. This saves many gallons of oil and tons of carbon. So…. Choices must be made. Monsanto was awfully heavy handed in the beginning of GMO, and the bitter taste continues to be felt. Good true science and fact will ultimately tell the tale, but for now, my observation and practice is that by using our heads, we can greatly reduce our needs for chemicals, if not completely eliminate them. I think Monsanto as was, is a big part of the reason for the opposition to GMO in Europe. It’s a shame that it is almost impossible to have reasoned discussion of GMO. I was amazed at the vehemence and personal attacks I had on one forum for merely suggesting the technology offered great promise and potential. There is more to it than the technology though – there’s the linkage to Global corporations, gene ownership, systems that favour large scale industrial agriculture. If we could decouple the technology from those other considerations, I suspect it would be accepted by the organic growers. After all, there is no difference in principle between breeding a blight resistant potato and splicing that gene into a susceptible variety to make it resistant. Going back to glyphosate, if it is proven to cause cancer with high exposure then the operators can take appropriate measures and acceptable trace levels be determined. Nothing is 100% safe – it’s the level of risk and how that is mitigated that is critical in conjunction with the benefits. As an example, we know there are risks with vaccinating but those risks are small and the risks of the diseases they prevent are far higher. I think it should be banned as it not only kills weeds but also the insects that feed around said weeds if you think of it logicly the amount of insects have dropped dramiticly in the last 30 or so years this can’t be coinserdent!! 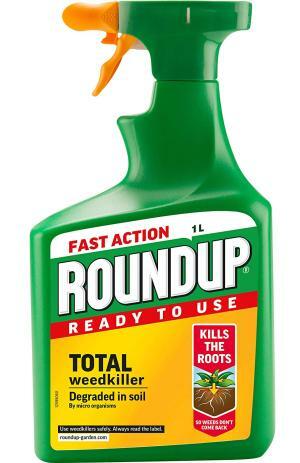 Ps what did our parents grandparents etc do before this weed killer was made?? I still use glyphosate but carefully. What really worried me is the use of glyphosate prior to harvesting grain crops.The grain must absorb the chemical with the milled flour being contaminated. There is little time for the chemical to be washed off.Have there been any levels of glyphosate in flour published? Arthur – I agree it is more of a worry being used as a desiccant and polluting flour / bread. I agree with Ian Moore. As a garden and environmentalist I am only too aware that we are reliant on insect life and am worried at the decline in my own lifetime of insect life. 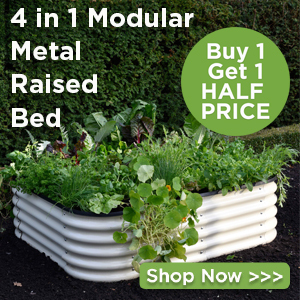 I garden without chemicals both at my allotment and at home. As far as the danger or not of cancer, if there MAY be a risk then why take it if you don’t have to? As for GMs my thinking is along the same lines. I live close to a farm that was taking part in GM trials here in Oxfordshire and they had bee hives set up miles from the farm and found traces of the GM pollen in those hives…. that was enough for me. We may never know how safe or not glyphosate is, but what I do know is that the automobile has and will continue to do so, kill and injure more people than glyphosate will ever do. The point is do we ban all pesticides and go completely with organic foods that will certainly hype up the cost of veg and will people pay the extra and do the majority of shoppers actually give a hoot if farmers use chemicals. So everyone to their own. You use Glyphosate or you don’t use unless there’s an alternative or they ban it. Personally not being an environmentalist I will be continuing to use Glyphosate until either happens. Gaurdian articles I always regards with great suspicion. To my mind they still fall into the 1960-70’s free love / ban the bomb presented logic. Their articles presented in this context repeatedly refer to Glyphosphate as insecticide, which it is not. I use the stuff, but only on hard to kill and hard to get at weeds. In using it I am always conscious of being cursed by a sweet old lady who devotes her life to rescuing hedge hogs. I have no personal experience, but she reckons that the stuff can be fatal to youngsters – hedge hogs that it.